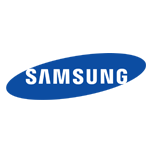 Samsung is already running circles around all of the other manufacturers shipping Android devices, and while we can come up with many reasons to pick up one the company's products, Sammy's steadily dishing out more. 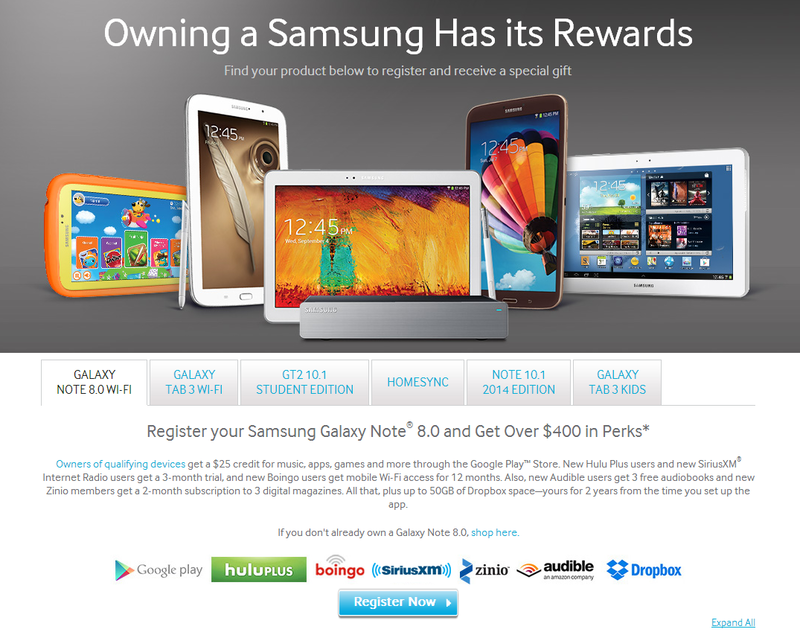 If you register your brand new Galaxy Tab or Galaxy Note tablet, Samsung will give you over $400 in perks. This is a $200 increase over their previous offer, and they've added additional products including Audible, SiriusXM, and Zinio. The Galaxy Note 10.1 2014 launched with most of these perks, but now they've been distributed across Samsung's broader range of tablets. We've covered most of Samsung's perks before, including $25 of Google Play credit, three months of Hulu Plus for new subscribers, twelve months of Boingo Wi-Fi access for new users, and 50GB of Dropbox storage. New rewards include three months of Sirius XM for newcomers, three digital magazines on Zinio for two months, and three free audiobooks on Audible. Hit up the source link to get started. These perks apply for new device purchases, so if you already own one of Samsung's tablets, sorry, you're likely out of luck.